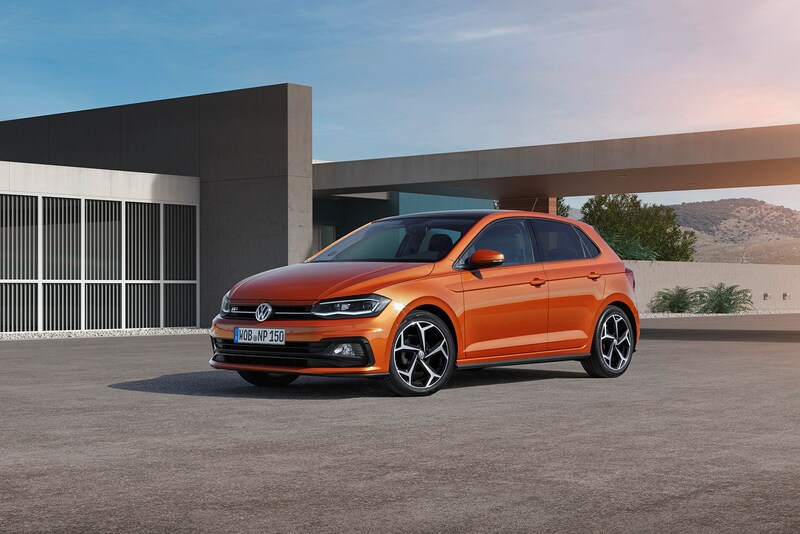 If you heard a yelp just now, it was probably the new Ford Fiesta, taking a step back in fear – for this is the all-new Volkswagen Polo, and it doesn’t look like it’s taking any prisoners. Other older supermini rivals, such as the Vauxhall Corsa, Toyota Yaris, Renault Clio and Peugeot 208, must surely already be running for cover. Unveiled at a glittering stand-alone launch event in Berlin, it’s hard to ignore that the new Polo also now looks even more like its VW Golf big brother. From the front the similarity is so uncanny you might have trouble telling the difference between the two on the road – part of VW’s conscious efforts to make the Polo appear ‘more masculine’ (its words, not ours). Move to the rear, and there’s greater distinction, but taken as a whole the maturity of this new design is clear. You’re not buying a supermini here, you’re buying a Volkswagen, it seems to be saying – though as such it’s a predictable evolution of the current model, no matter how fancy the appearance. Where the new Polo gets a lot more interesting is on the inside. Here the staid and sensible – if high-quality – interior of the old car has been replaced by a sleek, modern dashboard that envelops the touchscreen infotainment system within a riot of colour. It also debuts second-generation Active Info Display technology, VW’s name for the digital instrument cluster that’s available to replace the traditional dials, and comes with Volkswagen’s latest autonomous emergency braking (AEB) system as standard. 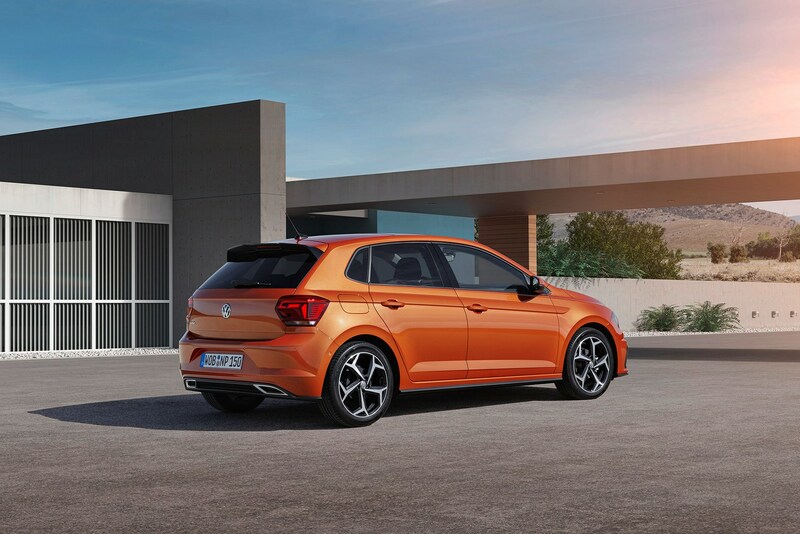 Launching with nine engines – ranging from an 80hp diesel to a 200hp GTI – stacks of safety equipment, and a heavier emphasis on personalisation and style, this sixth-generation VW Polo comes as a five-door hatchback only. It goes on sale in the UK in October 2017, with first deliveries expected in January 2018. There is no official pricing information at this stage, but it is unlikely to cost much more than the current Polo, which starts at £11,970. How big is the new VW Polo? The 2017-2018 Polo is based on the Volkswagen Group MQB A0 platform – the smallest version of the same clever MQB structure that underpins everything from the aforementioned Golf to the Audi TT, SEAT Ateca and Skoda Superb. While extremely versatile, it’s at least partially because of this that the new Polo has grown somewhat compared to the old one. The previous model was noted for being bigger than the original VW Golf when it launched in 2009, but it still comes as a shock to discover the new one is larger in some respects than the fourth-generation Golf now. 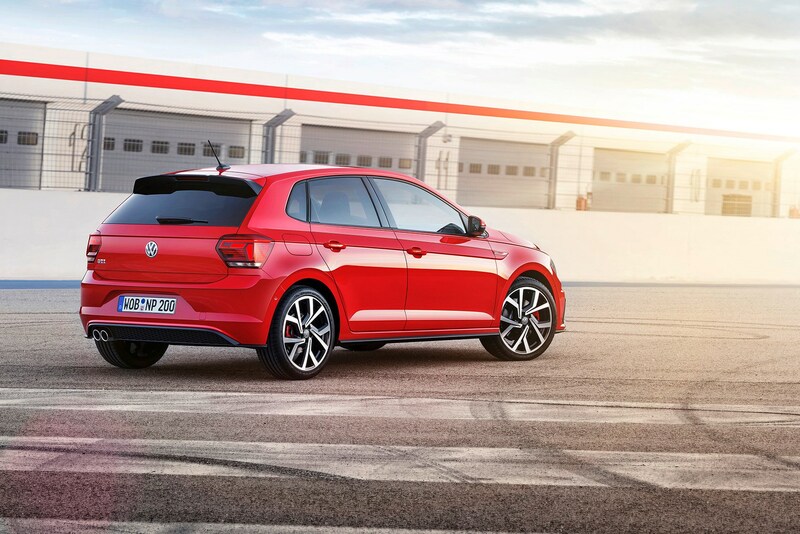 New Polo’s length is 4,053mm – 81mm longer than the old Polo, 96mm shorter than the Golf Mk4. However, its width is 1,751mm – 69mm wider than its predecessor, and 16mm wider than the Golf Mk4 – while at 1,446mm in height it’s actually 7mm lower than the previous Polo yet 7mm taller than the Mk4 Golf. More significant still is the distance between the new Polo’s axles, which at 2,564mm has grown 94mm over the old Polo and is 53mm longer than the Golf Mk4. This stretched wheelbase is great news for ride comfort and passenger space – and certainly there is more of the latter inside. A lowered seating position even means there’s more headroom, despite the chopped roofline. How big is the new Polo’s boot? Improvements for passengers can sometimes have a negative impact of boot space, but not in the new Polo. At 351 litres, its boot is 25% bigger than the car it replaces – and represents 21 litres more luggage room than the Mk4 Golf. Enough of that comparison for now. 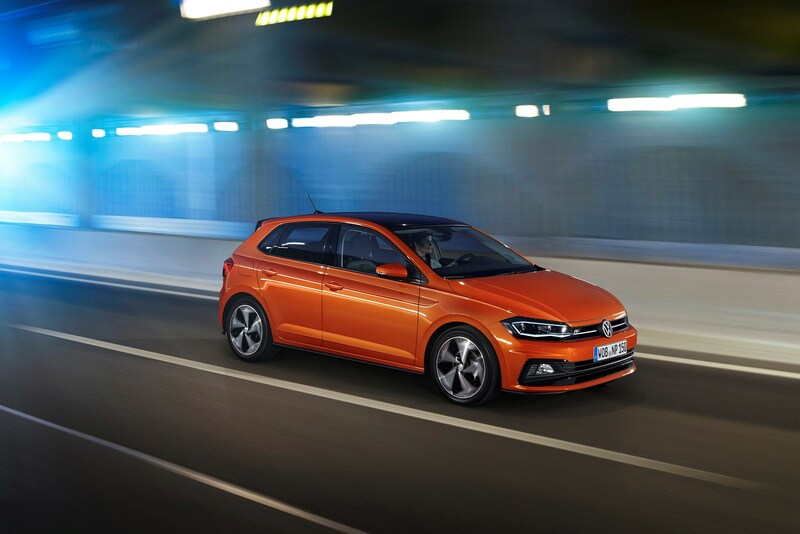 What are the engine options for the new Polo? VW says the Polo will be offered with a choice of nine engines – although this includes a new TGI natural gas engine, which is intended as an eco-friendly solution but probably won’t come to the UK, and the 200hp GTI, which we’ll deal with separately below. The other seven are as follows, split five-to-two in favour of petrol. Of particular interest here is the 1.5-litre TSI. This is a new petrol engine, just introduced in the Mk7.5 Golf, and replaces the 1.4-litre engine previously used in the Polo BlueGT. Like that 1.4, the new 1.5 features ACT cylinder deactivation technology to save fuel – it’s also great fun in the Golf, so should prove even more so in a lighter car like the Polo. The seven-speed DSG option available on some engines is a twin-clutch automatic transmission, of a type familiar from many other VW products. What are the new VW Polo trim levels? 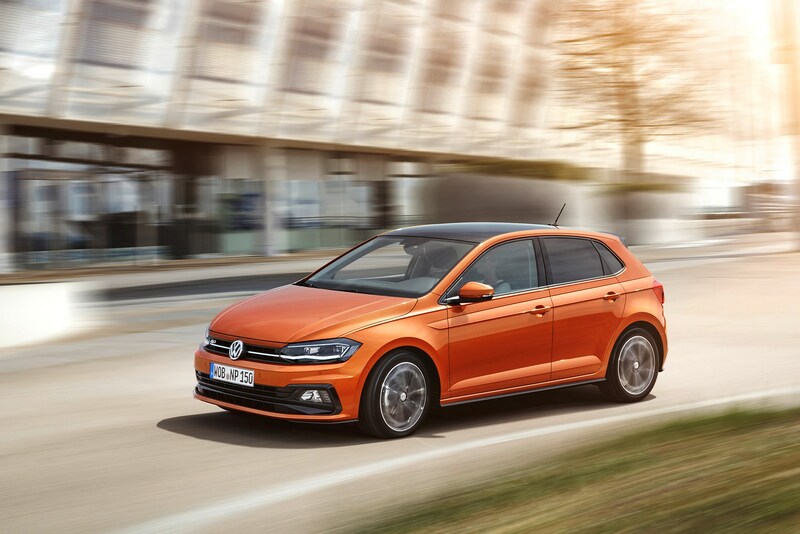 The new Polo will come in the following standard specifications – although the UK model names are still subject to confirmation. Black and Style packages are also offered in Germany, so may be heading our way as part of the new Polo’s myriad personalisation options. 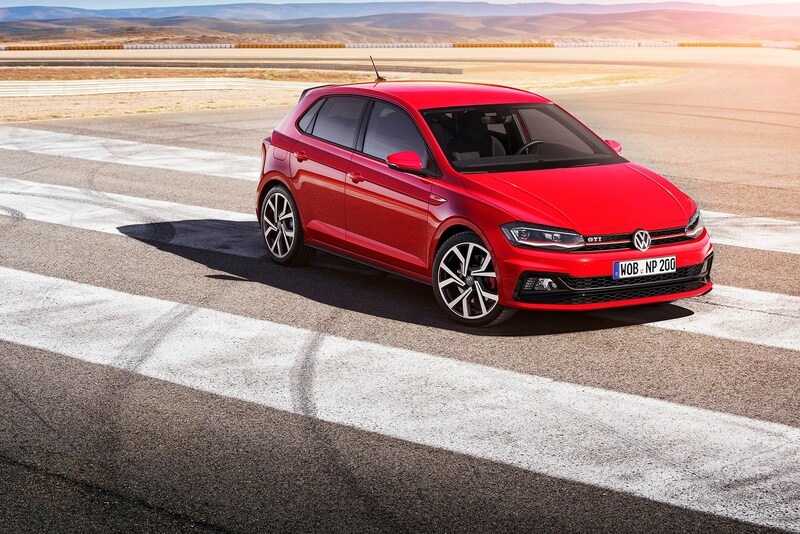 What about the new Polo GTI? 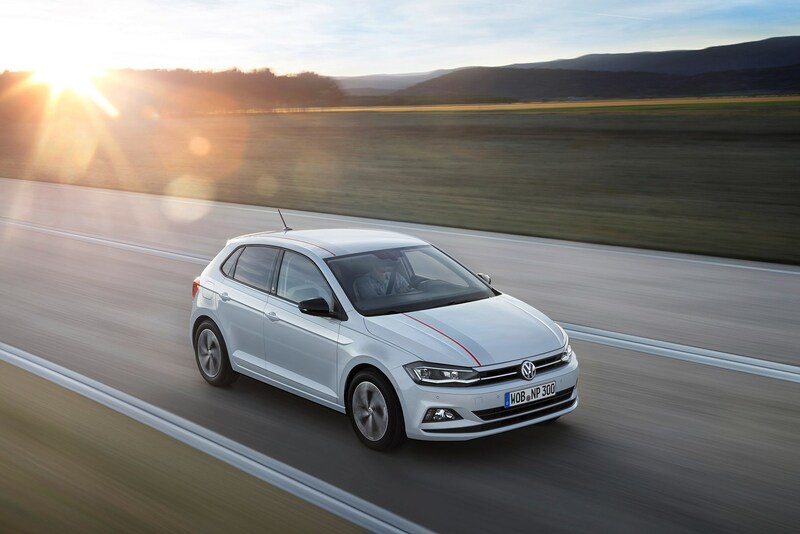 As befits a sporty range-topper, the Polo GTI gets a comprehensive styling makeover, including new front and rear bumpers, side skirts, large rear wing and red pinstripe detailing. Fitted with sports suspension and 17-inch alloy wheels as standard, the GTI’s credentials are further underlined by the red brake calipers and twin-exit exhaust. 18-inch alloys are options, as is Sport Select suspension with active shock absorbers. Under the bonnet lies a 2.0-litre TSI turbo petrol engine producing 200hp – a useful upgrade over the 192hp 1.8 of the previous model. Performance figures are still to be revealed, but expect a rapid 0-62mph time, especially when the standard six-speed manual gearbox is upgraded to the optional seven-speed DSG. Any exciting options and technology on the new Polo? VW says it’s bringing Golf and Passat levels of tech to the supermini class with this car, and there are certainly plenty of options to choose from. Before you even get to the toys there are 14 paint colours and 13 dashpad colours to choose from – the dashpad is the coloured area obvious in the interior pictures. There are also 11 different seat covers, and two different interior trim finishes. It is easily the most customisable Polo yet. You’ll note that many of these are safety related. VW is clearly aiming for a very high Euro NCAP result with this car. Mirrorlink, Apple CarPlay and Android Auto are all integrated into the Polo’s infotainment, too, alongside Bluetooth, aux-in and USB connectivity. Satellite-navigation is optional on all models. Is the interior as good as it looks? We’re yet to drive the new Polo, but in terms of touch and feel, the interior is every bit as special as it appears in the pictures. You’ll need to be prepared to spend a bit to get it at its very best, though, as the infotainment screen is available in 6.5-inch and 8.0-inch sizes (and not included on base models at all). It’s a very slick and responsive user interface either way, and although the interior design places a big emphasis on this, we’re pleased to report there are still physical buttons for important secondary controls such as the heating and ventilation system. 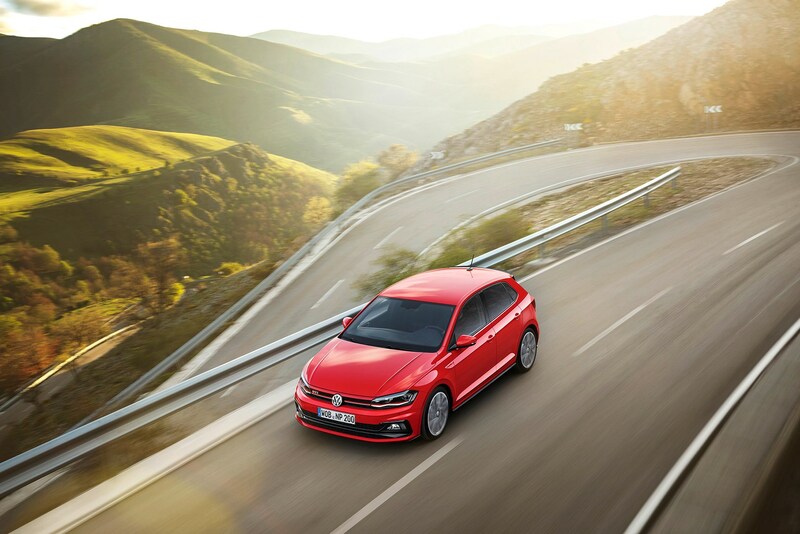 We’ll bring you more news – and of course the first driving impressions – of the new Volkswagen Polo soon.